Cuisine in this département is heavily influenced by Basque culture. You’d be advised to start off with the Bayonne ham. This is a sweet variety of specially cured ham protected by something called indication géographique protégée (a bit like fine wine’s AOP). To qualify for this, the ham must originate from certain breeds of pig. 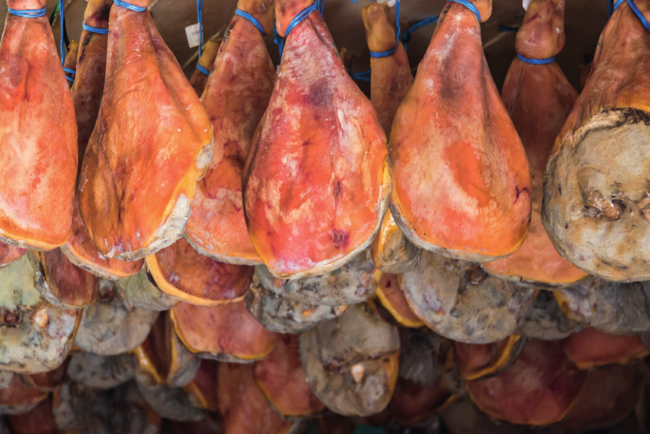 The rearing, slaughtering and drying processes are all strictly regulated, resulting in a delicious meat that is sliced very finely and normally served as a starter. A great accompaniment to it is the sheep’s cheese known as Ardi Gasna, eaten with jam or jelly. With so much coastline, the Pyrénées-Atlantiques is great for fresh fish, with many restaurants offering tuna, hake, sardines, calamari and dorado, all freshly hauled in from the Bay of Biscay. 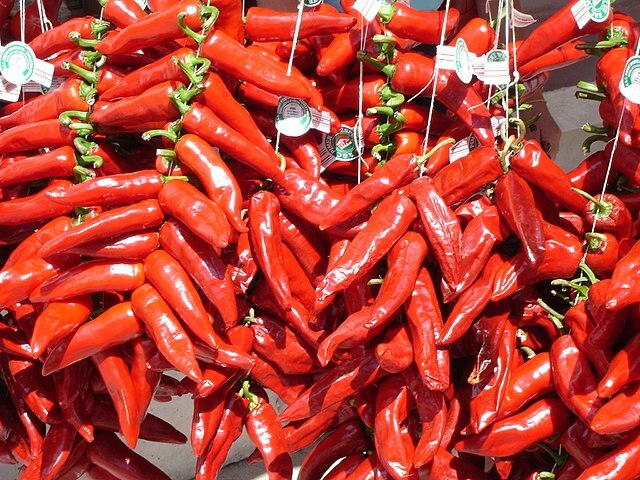 Many Basque dishes, including the fish, are flavoured with one of the region’s key spices known as piment d’Espelette, a chilli grown up in the hills and hung with pride on the front façades of the farmers’ houses. It is both hot and sweet at the same time. 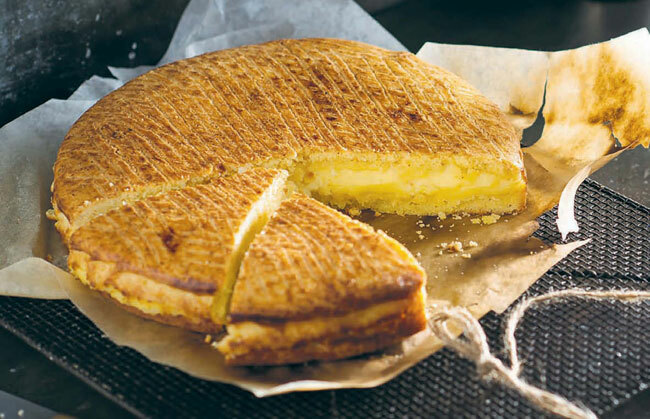 For desert, there’s the famous Bayonne chocolate (originally brought to the region by Spanish and Portuguese Jews fleeing the Inquisition) and the Gâteau Basque. Inevitably every village, and every pâtissier within every village, insists that their version of this almond or vanilla cream-filled pud is the best ever baked. Other Basque specialities include lamb, Banka trout, Itxassou cherries and macaroons. There are three main wine-growing areas in the département: Jurançon, Béarn and, right on the Spanish border, Irouléguy.